Working with industrial-scale processing equipment, you’ll gain experience in thermoforming, extrusion, rotational molding, injection molding, and blow molding processes. The ... really cool thing about plastic is that it is everywhere, in almost every field. If one is interested in the health field, automotive, construction, fashion, cosmetics, sports, or electronics, they can get involved through plastics. One of only six plastics programs in the nation accredited by the Engineering Technology Accreditation Commission of ABET (www.abet.org). 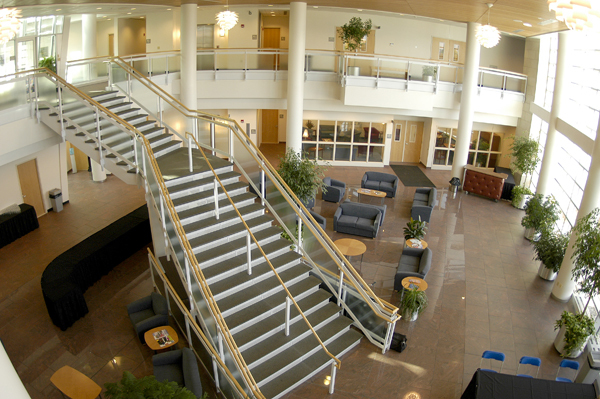 The Plastics Innovation and Resource Center (PIRC) at Pennsylvania College of Technology is one of the top plastics technology centers in the nation for research, development, and education related to injection molding, extrusion, blow molding, rotational molding, and thermoforming. Penn College’s renowned Plastics Innovation & Resource Center, which incorporates hands-on learning across the industry’s varied production processes, is featured in the online Keystone Edge magazine. The article by news editor Elise Vider – headlined “At Penn College, Plastics Provide a Path to Success” – includes a Q&A with Shannon Munro, vice president for workforce development.